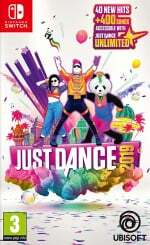 Ubisoft's hugely successful Just Dance series has been slowly but surely turning itself into a subscription-based service over the last few years, with an annual fee being needed to enjoy the majority of each game's content. This includes songs intended for the 'Kids Mode' section of the game, and one parent's annoyance at the messaging being shown to children has forced the publisher to apologise and promise a fix. Things began when Reddit user darkheartsmd shared a post detailing their issue with the recently released Just Dance 2019. 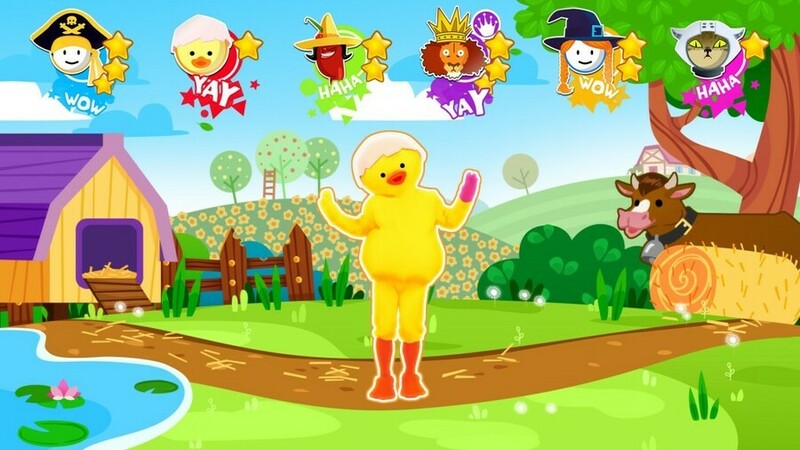 The user described how their six-year-old son was presented with messages asking him to subscribe to this service to play songs shown in the menus, even within the supposedly child-friendly Kids Mode portion of the game. "Bought the game for my son (6) because he loves to dance. Was going fine until he tried selecting the song about sheep in the kids mode. Every time it would ask him to subscribe. They need to remove those songs from the list until an adult subscribes in the normal mode. If there is an option to remove them please someone tell me. Thanks"
Speaking to Eurogamer, Ubisoft has since issued a direct response to the problem. The publisher has noted that the labelling of content, particularly when differentiating between the songs available to play on the cartridge and those only available through the subscription, "could be confusing for our players", going on to say that it "never intended to create an uncomfortable situation for parents". The statement concludes by saying "Just Dance is a game that's meant to be accessible for everyone, and it's really important for us to provide a protective and safe environment for all of our players, including families. We are currently working hard on solving this issue as soon as possible." With countless stories of children spending scary amounts of cash in free-to-play titles in recent years, it's not surprising that this has raised several concerns. Of course, the main difference between the two is that Just Dance's Kids Mode is specifically designed for children, and parents should feel confident in letting their kids play freely with the content on offer. As ever, feel free to share your thoughts on this one in the comments below. Oh ubisoft... Goofing up again. They obviously are fishing for cash though, realistically speaking, a responsible adult makes it impossible for their kid to spend the money without permission anyway. Playing in flight mode (turn the controllers on but the Wi-Fi off) should prevent the Unlimited songs from appearing in-game. I have also been using that trick to delay the Unlimited subscription in JD2018. @BladedKnight Yeah, a button click like they did with Starlink's DLC would be an easy solution! Then stop clicking on that song, ya dummy! It’s clearly part of the Just Dance Unlimited subscription. They need to figure out if they want to sell a packaged game for price X, or a separate subscription business model- just like the difference between iTunes and Apple Music. Anything else is unfair to the consumer, especially those with kids who think they need everything in the game or they're missing out. @ThomasS Do you know a lot of 6 year olds who can read and comprehend the words "Unlimited Subscription"? The parent wasn't complaining about it being in the game, but most parents are going to expect that when a game has a "kids mode" that the kids won't see a list of DLC songs, only the ones already in the game. Seems pretty lame of Ubi to put this in the game under "kids mode", but it does make sense for them as it teaches kids and their parents that all Ubi games, and many video games these days, are sold incomplete, piecrmeal, or with extra content sold later, so everybody is getting indoctrinated into the $60-to-start model. Everybody complained about horse armor, but now people gladly gobble up $30 season passes and yearly subscriptions. I was actually bothered by something similar in MK8 on Wii U. After the DLC was available they updated the main game home screen menu so that you could see the tracks, cups and drivers that were available in the DLC. I always thought they shouldn't appear in that menu until you nought the season pass. We did, and it was worth it, but until we did seeing things we couldn't play bothered me. Similar to here. Indoctrinating them early. That's absurd that Just Dance of all games requires a yearly subscription. It's not a damn mmo, it's more of a game you put in during a party every so often. Yeah just learned this game has a subscription? WTF. It was my LOCK as a xmas gift to my daughter. Back to the drawing board. @ThomasS It doesn't make a difference if the parent is aware of the subscription or not. It's a simple request to hide those songs from his 6 year old. Being aware of the subscription won't make it any more annoying when your 6 year old pesters you every 5 minutes about a song not working. EDIT: And seeing as how Ubisoft acknowledged it and promised a fix soon, it's safe to say they agree. @Kalmaro personally I totally agree with you but you would be amazed at how not clued up certain people are when it comes to games. If you haven’t been a gamer yourself some simply don’t bother looking into these things. Honestly lost count of the amount of times in the past when I worked in retail where I warned parents about buying grand theft auto for their kid but was met with a ‘oh it’s just a game it can’t be that bad’ rubbish. Now with added microtractions people and especially parents can’t be lazy about this stuff anymore. @Mr_Pepperami When I worked retail, and kids tried to buy that game, I'd force them to get their parent. @Kalmaro hahaha totally. I did the same. Flat refused to sell it to them and would tell the adult about the content. Sadly most would still buy it. Welcome to the days of you buying a game only to realize you still have to buy things in the game. This generation of gaming is slowly becoming a practice for greed. @ThomasS Something tells me you don't have little kids I'm sure the parent did do that, but I also know some kids (Mine aren't 6 yet) wouldn't fully understand, and would either forget why that song wasn't working, or would continue to ask about it over and over. In which case, it would be nice to hide those songs when in the kids mode. Again, I don't think this is some scandal that we need to burn Ubi for. I know the Internet likes to try to turn everything into a huge deal in hopes of dividing everyone into two neatly divided sides where they subsequently fight to the death. In this case, I think it's just a simple fix on Ubi's side that results in a pretty big quality of life improvements for parents of little kids, which I would imagine is a priority of Ubi's since they included a kids mode in the first place. @roadrunner343 If the kid doesn’t figure out that clicking the same song over and over doesn’t work, then the parent who is supervising the kid (which i hope is the case, especially for that little einstein’s sake) should set a playlist from which the kid can choose from. @ThomasS I'm sure there's workarounds, and it's simple to prescribe what the parent should or should not do. I'm just saying it's pretty clearly a simple fix to hide those things from the kids mode, since they can't buy them anyway, which appears to be the route Ubi is taking. I don't think it's a huge deal one way or the other. @ThomasS I'm just going to let @roadrunner343 reply at #12 stand as mine as well, "pesters" is the only necessary reply. My kids are teens now, and they've been playing video games unsupervised since they were 2, those Godzilla games on PS2 and Gamecube where great. No online, no DLC, just a games. Now practically every month my kid is asking me to buy him - he pays for it but I still have to do it b/c I'm not giving him the password - new DLC for DBXV2. That game is nearly as bad as FFXV, but it's an online fighter so unfortunately it's to be expected. Those Godzilla games had enough fighters for us. And Godzilla Unleashed on Wii had just about everybody, but the motion requirement was such an annoyance for the kids. I don't understand complaining about this. It's really really easy to find out it offers a subscription and if you don't want that then don't buy it? The game isn't your child's babysitter. It's the same thing with other games. My kid bought it when I wasn't paying attention or my kid saw he could have this and wants it now are not anyone's problem but the kid's parents. i don't understand the outcry over this? fortnite targets children (predatory) on a mass scale and makes billions from it but if ubisoft does it, it's headline news, how does that work? My kids love it but the subscription model is gross. I already gave you my cash, you damn vampires, now you want a cut of all my pay cheques? Obviously an intentional and exploitative marketing tactic. There’s nothing quite like a child’s temper tantrum or constant begging to force a parent to part with cash. There should always be an option to hide paid DLC especially when dealing with kids games. @huyi not quite. There is plenty of parental fearmongering regarding Fortnite but the difference there is that’s their entire business model when Just Dance is a paid packaged “complete” product. DLC is supposed to be additional not integrated into the main game especially this close to launch. Never much cared for this franchise anyway. Geez if the songs were dlc that would be one thing but you have to rent them for a year(guessing)? Or is it like a regular season pass and you get all the songs?